Emma Watson Set To Star in ‘Regression’!! 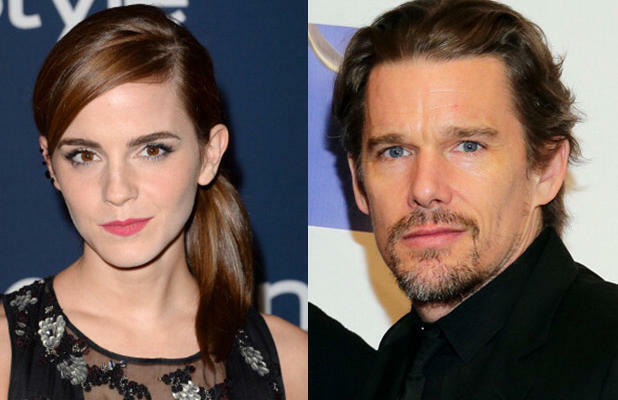 Director/Composer Alejandro Amenabar (‘The Others‘) has cast Emma Watson (‘Harry Potter‘) along with Ethan Hawke (‘Training Day‘) in a new thriller called ‘Regression‘. Not much is known about the plot of the film yet, but with these two amazing actors, I would imagine something very suspenseful and full of thrills. There is a planned 2015 release for the film, which is a while away. Harvey and Bob Weinstein are attached to this project as well. Hopefully soon, we will get a synopsis, but going off of Amenbar’s past movies, this might have a super-natural side to it, as ‘The Others‘ featured ghosts and starred Nicole Kidman. Princess Grace Biopic Featuring Nicole Kidman Premieres On Lifetime!!! This entry was posted on Wednesday, February 5th, 2014 at 1:50 pm	and is filed under Film, News. You can follow any responses to this entry through the RSS 2.0 feed. You can skip to the end and leave a response. Pinging is currently not allowed. « Watch This Excellent Clip of Bill Murray in Wes Anderson’s ‘Grand Budapest Hotel’! !